4004 VI/VII Flash and mask 1946, the two of them not issued values, fresh colors and in perfect condition with clean small hinge. 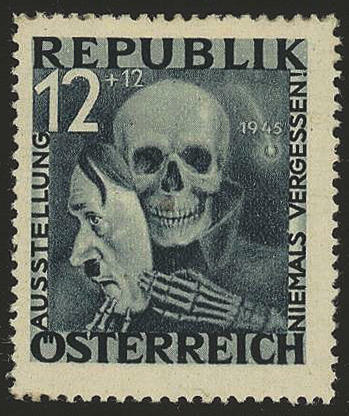 In addition to it the ticket to the antifascist exhibition \"never forget! \". In this combination very rare! 4005 ⊙ 869FI 20 Gr. 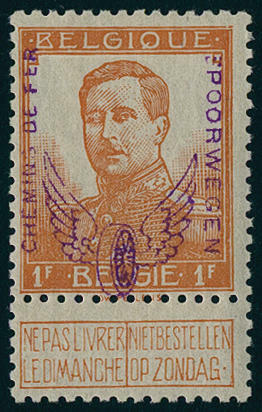 Native flowers 1948 with rare variety \"missing colour yellow\", fresh colors and very well perforated, neat cancelled in perfect condition. 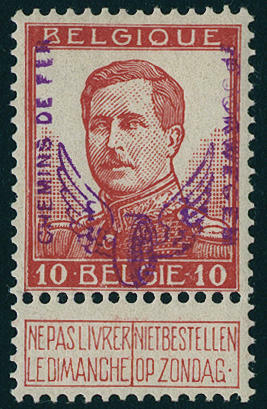 A very scarce variety, especially in used condition! 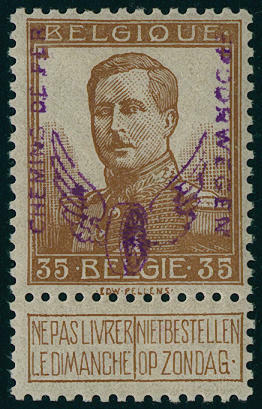 In the Michel special catalogue mint never hinged with 1200,- €listed, used however due to missing offers only unpriced. Photo expertize \"genuine and immaculate\" Soecknick VÖB. 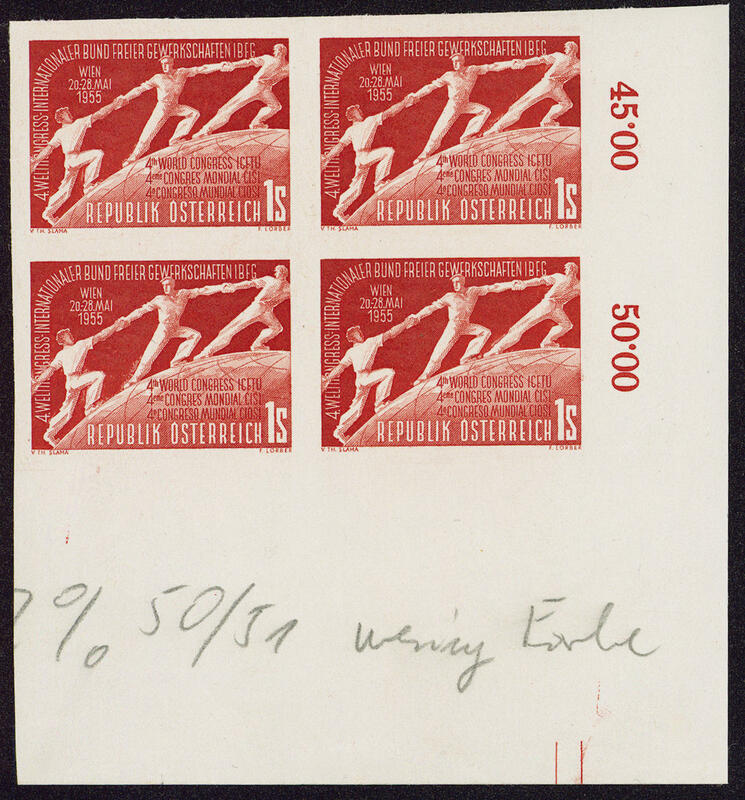 4006 1018PU 1 S. Federal Republic of Germany freer labor unions 1955, color proof in red in the unperforated block of four from of the right lower corner of the sheet with pencil note of the printer. 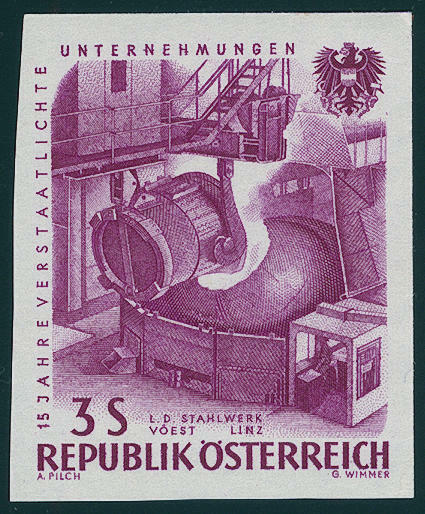 Very decorative and in this kind an Austria-rarity! 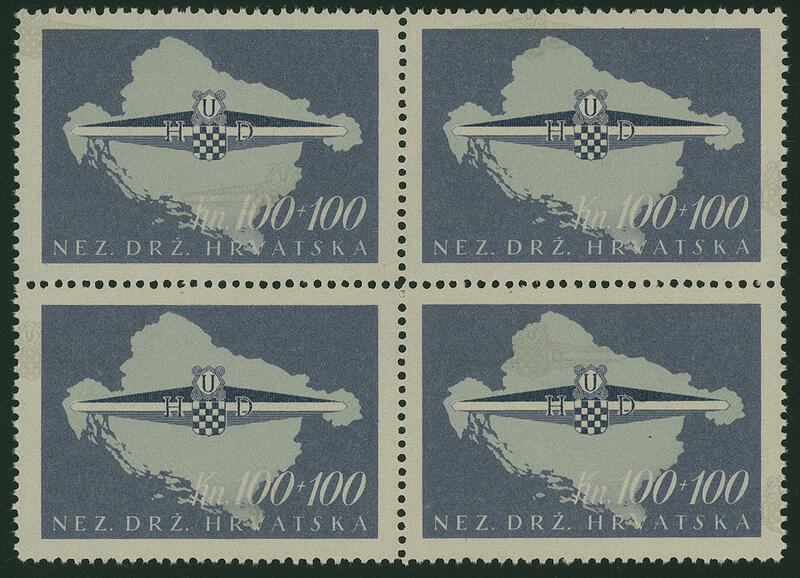 4007 1092/96U 15 years nationalized company complete four sides unperforated, fresh colors and in perfect condition mint never hinged a scarce issue! 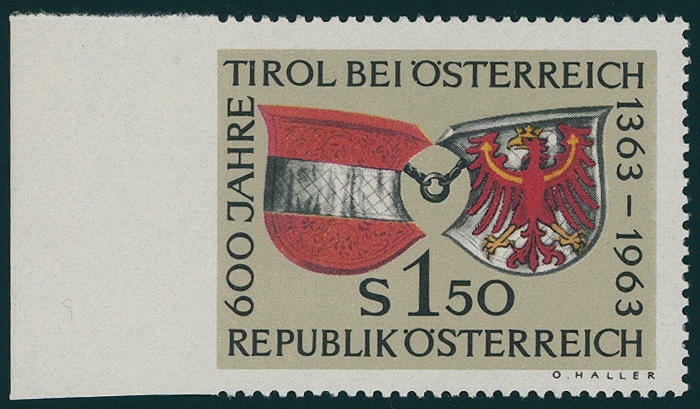 4008 1133Ul 600 years membership Tyrol to Austria 1963, with very rare variety \"left unperforated\" from left margin of sheet, fresh colors and very well perforated, in perfect condition mint never hinged, without any signs in utterly perfect condition. 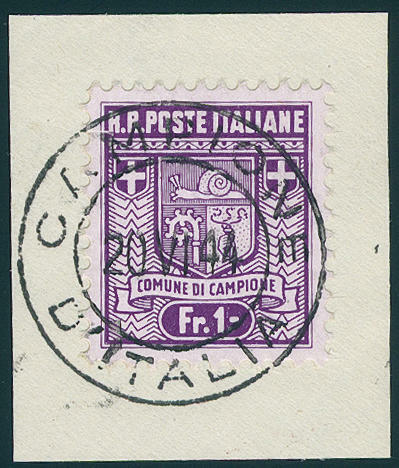 A very scarce variety, of the only a few copies became known are. Photo expertize \"genuine and immaculate\" Soecknick VÖB. 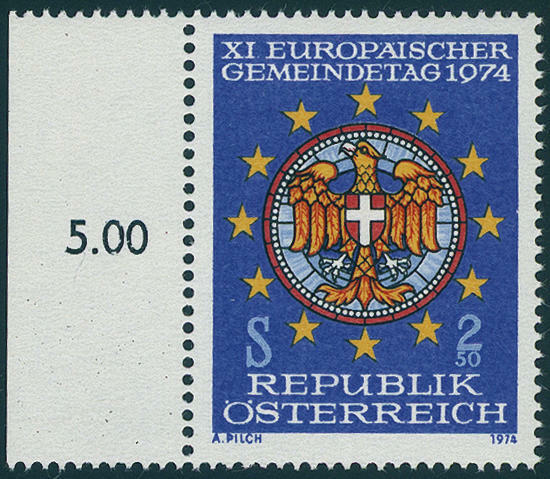 4009 VIII 2, 50 S. European Community day 1974, the scarce not issued stamp from left margin of sheet, fresh colors and very well perforated, unfolded, in perfect condition mint never hinged, without any signs. 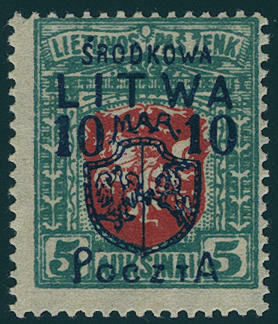 Photo copy of a certificate for former block of four \"genuine and immaculate\" Soecknick. 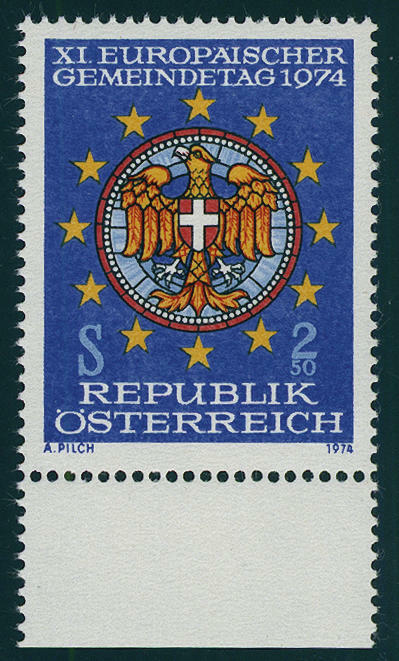 4010 VIII 2, 50 S. European Community day 1974, the scarce not issued stamp from lower margin, fresh colors and in perfect condition mint never hinged photo expertize for former block of four Soecknick. 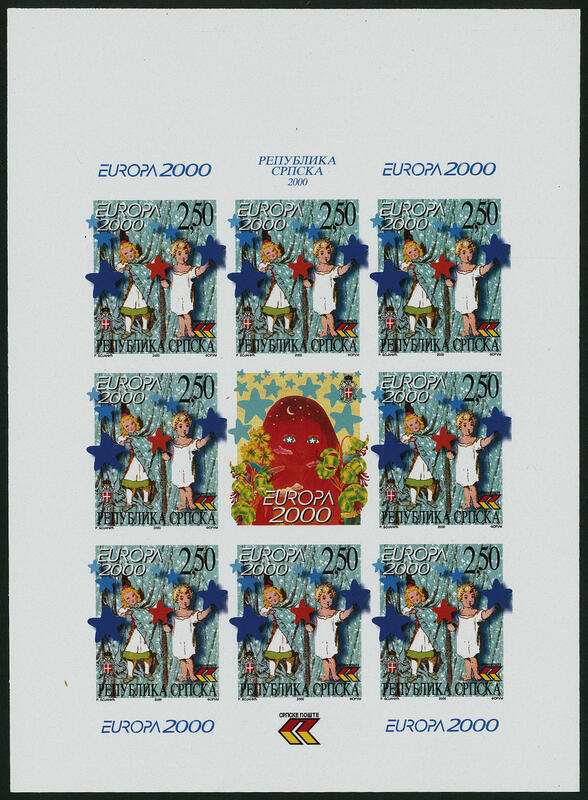 4011 Bl.8U Conference for security and collaboration in Europe 1986, the spectacular unperforated souvenir sheet, fresh colors and in full original size, in perfect condition mint never hinged, without any signs. 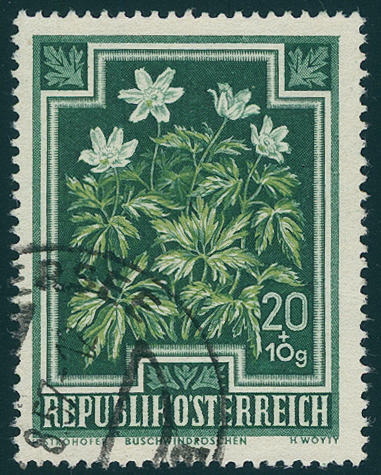 These variety counts to the all large rarities Austria, according to Michel special catalogue are only two examples have become known. 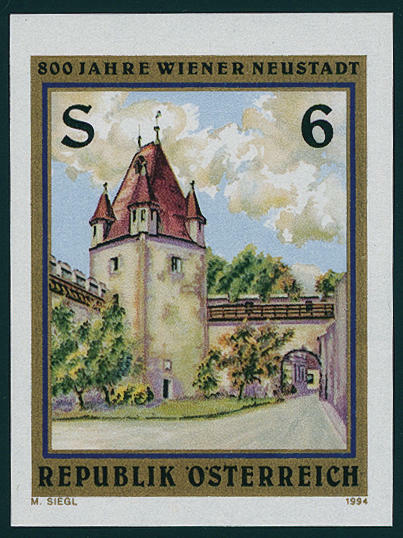 An eye-catcher for the large Austria collection! 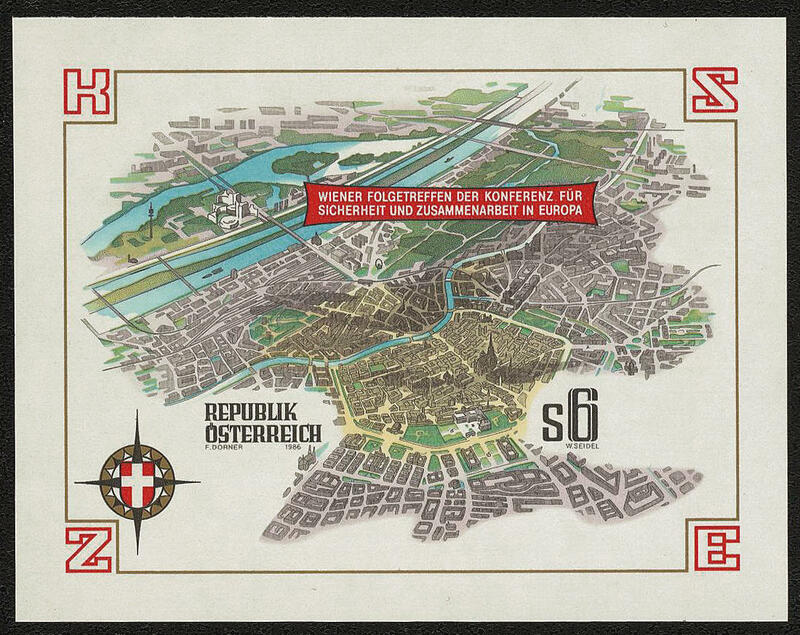 Photo expertize \"unperforated Austrian souvenir sheets issues belong to the rarest varieties Europe. 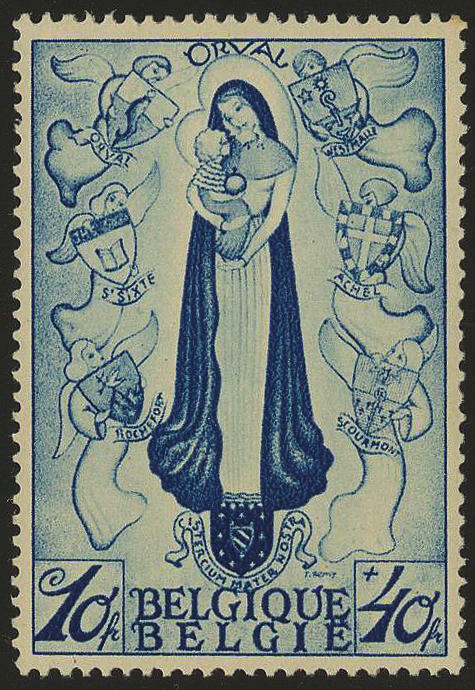 The souvenir sheet is in every respect mint never hinged and perfect\" Heimo Turin / VÖB. 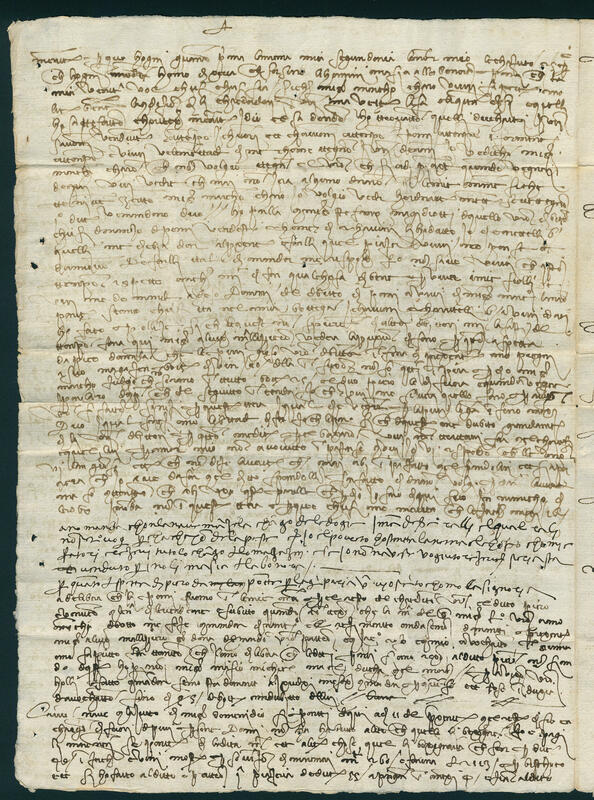 Michel 15000,- €. 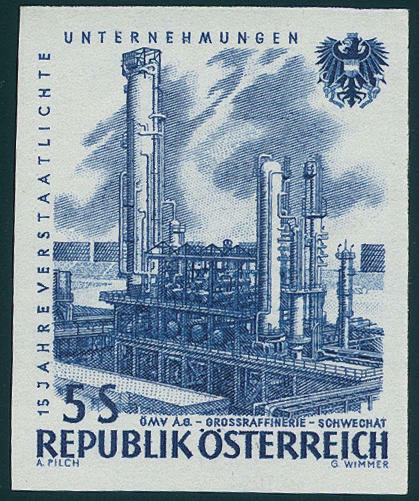 4012 2121U 800 years Vienna Neustadt 1994, four sides with wide margins unperforated, fresh colors and in perfect condition mint never hinged, without any signs. 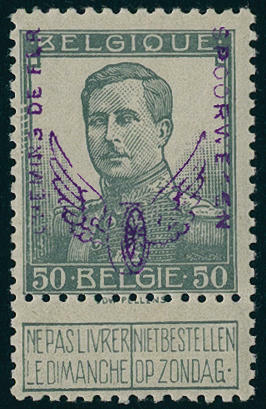 A very scarce variety! Photo expertize \"genuine and immaculate\" Soecknick VÖB. 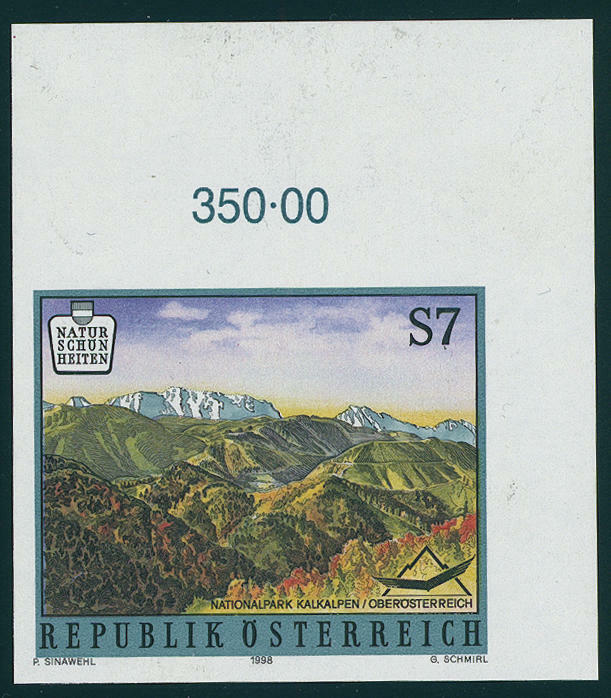 4013 2242U 7 S. National park 1998 unperforated from of the right upper corner of the sheet, fresh colors and in perfect condition mint never hinged, without any signs. 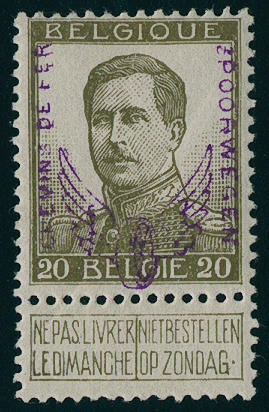 A scarce and decorative variety! Photo expertize \"genuine and immaculate\" Soecknick VÖB. 3640 1Abart 10 Fr. 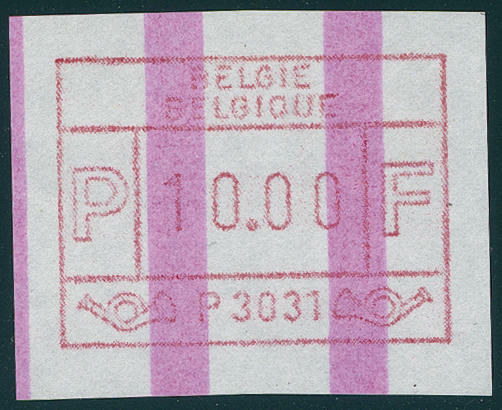 Coil stamp for vending machine 1981, printing on end strip, machine number 3031. From this automat in the Michel special catalogue unlisted! 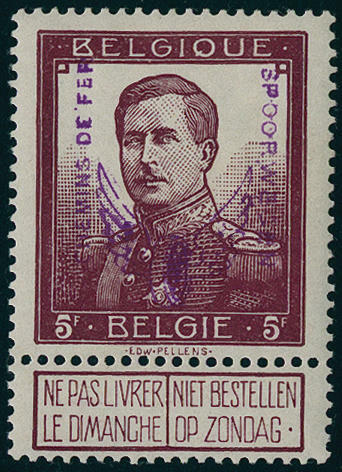 3639 48/57 Postage stamps set 1915 with overprint \"CHEMINS DE FER / SPOORWEGEN and impeller wheel\", all 10 normal issued values fresh colors and well perforated, in perfect condition unused with original gumming. 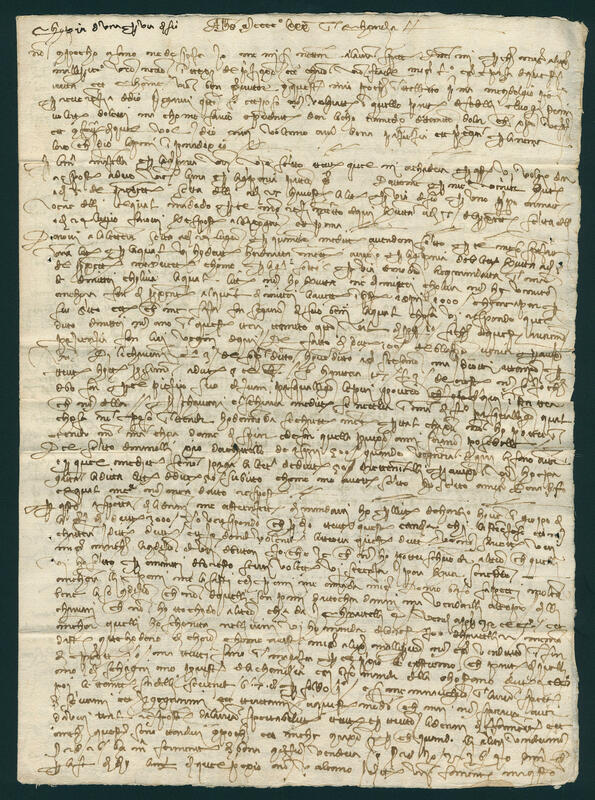 The edition amounted to be on only 200 sets, so that it be herewith about one of the largest rarities Europe act. 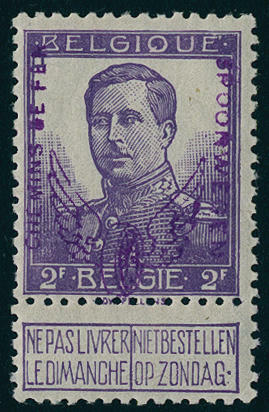 Photo certificates Georg Buehler, reindeer Berlingin, pierre Emperor. 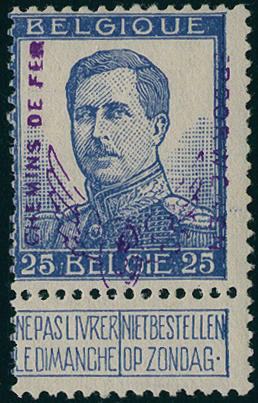 3638 / 354/65 Orval 1933, in perfect condition unused, the key value even mint never hinged (minimum toned spot in of the right upper corner). 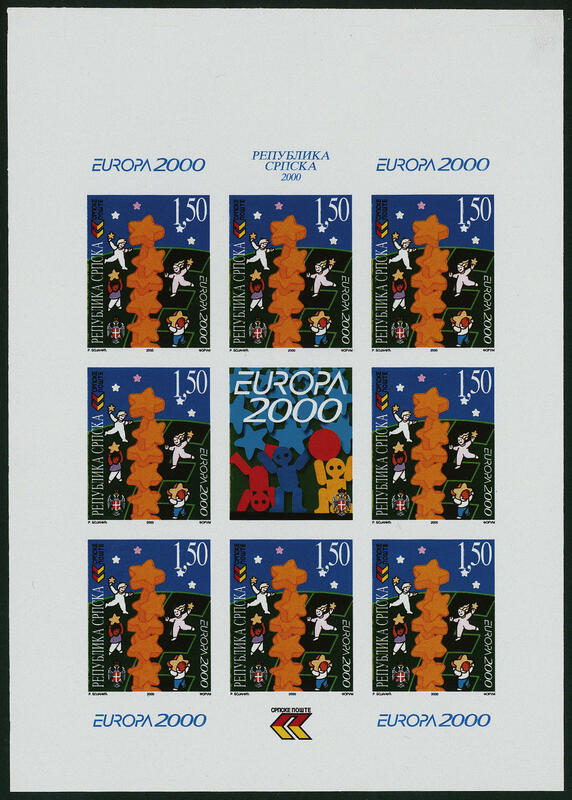 3641 167/68U Europe 2000, unperforated miniature sheet set, in perfect condition mint never hinged in outstanding condition, as well are the colours at the 1, 50 M. A little dark as at the normal issue. A rarity the Europe union issues! 3642 ✉ 52F 3 St. 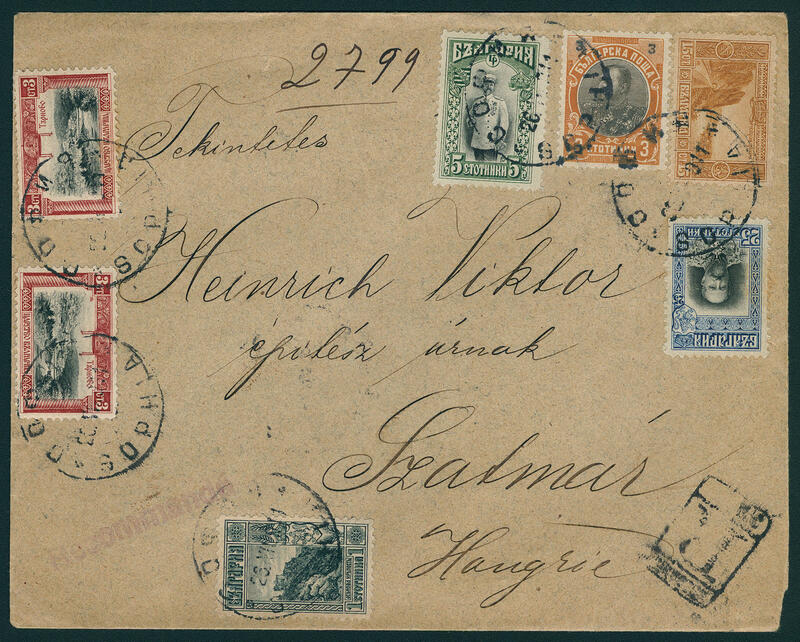 Prince Ferdinand I., the scarce color error \"ORANGE / black brown\", fresh colors and in perfect condition with additional franking on correctly franked registered cover from \"SOFIA 26. 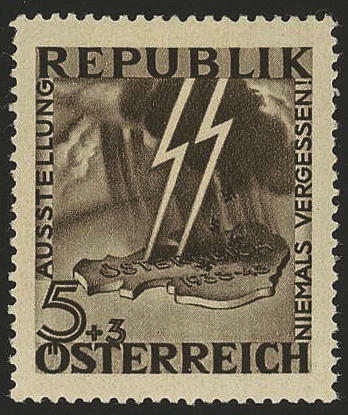 VI. 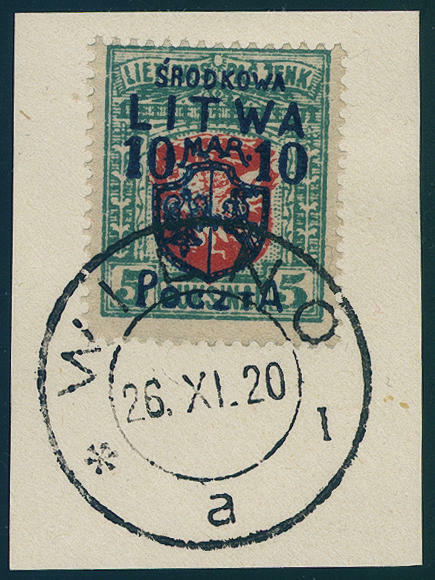 1911\" to Hungaria with transit and arrival postmarks. 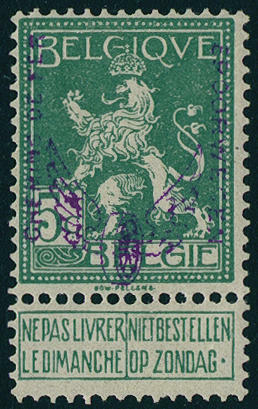 The color variety counts on cover to the large rarities Bulgaria. It is only another cover from this known. Photo expertize Hitzler. 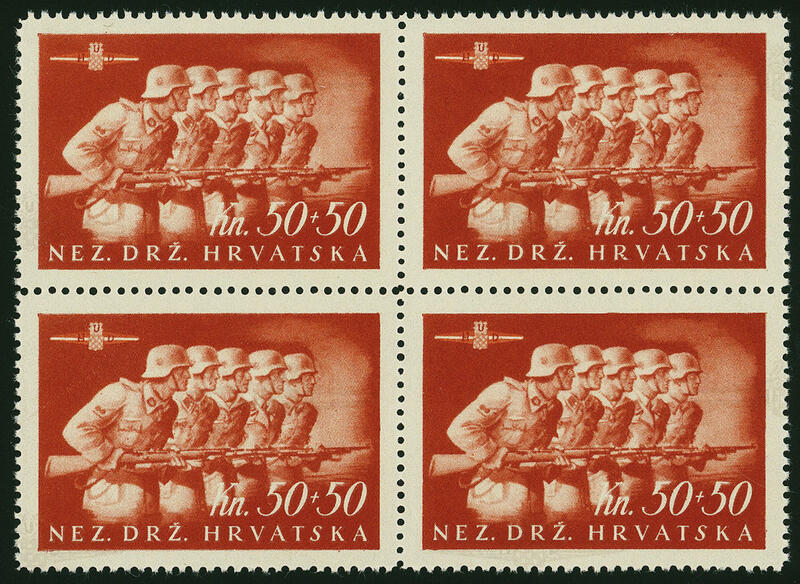 3643 ∆ 1/5A Postage stamps set 1944, the scarce first edition with perforation 11 ½ (large perforation holes), wonderful fresh colors and in perfect condition on five lovely white letter pieces, all perfect centric cancellation \"CAMPIONE 20. VI. 44. \". For the highest standards! Photo expertize \"genuine and immaculate\" Eichele / SBPV. SBK 800,- Sfr. 3933 13 10 M. On 5 A. 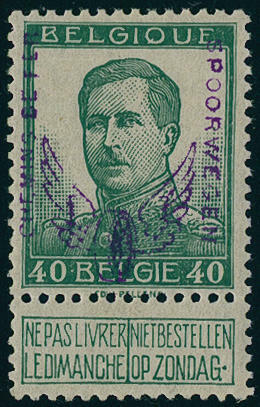 Postal stamps 1940, fresh colors and very well perforated, in perfect condition mint never hinged in perfect condition. 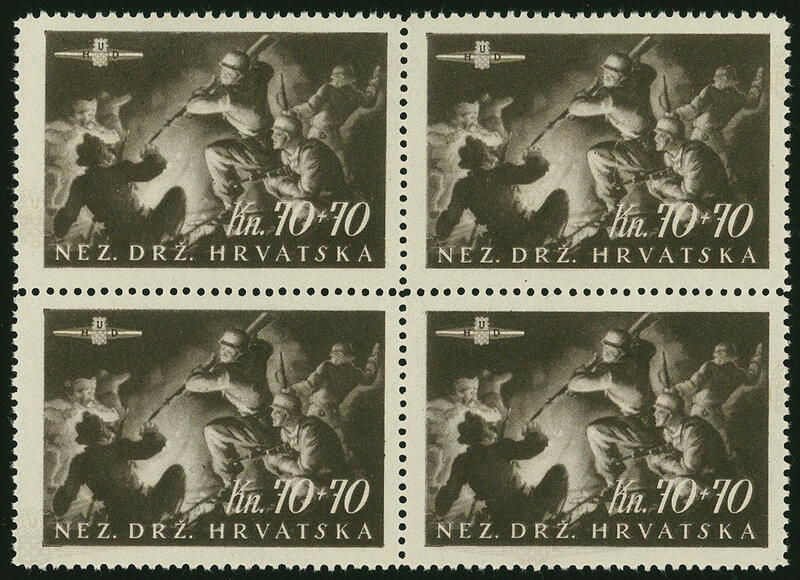 In an issue of only only 360 copies are in perfect condition mint never hinged stamps hereof nearly untraceably. A significant rarity of this area! Expertized Mikulski, photo expertize Bach / Eichele. 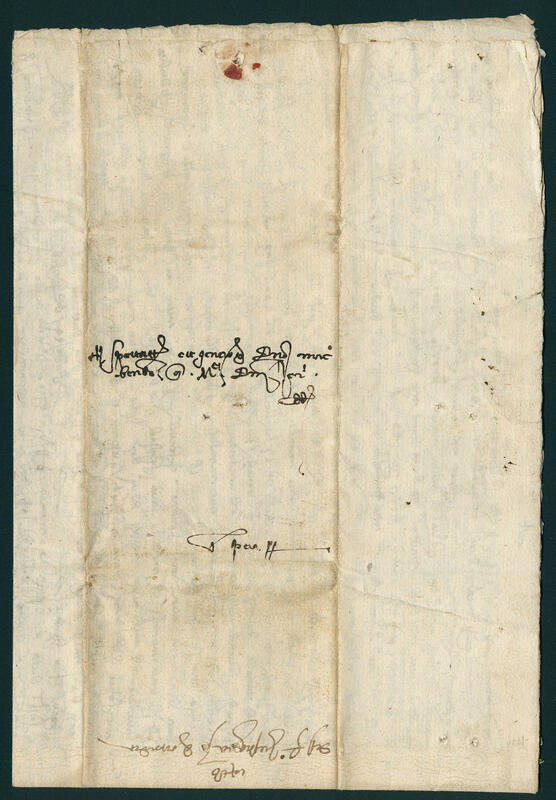 3861 ✉ Wonderful pre philately letter from 1480 to Pera / Turkey (Constantinopel) with all in detail on three sides content, written in Candie. 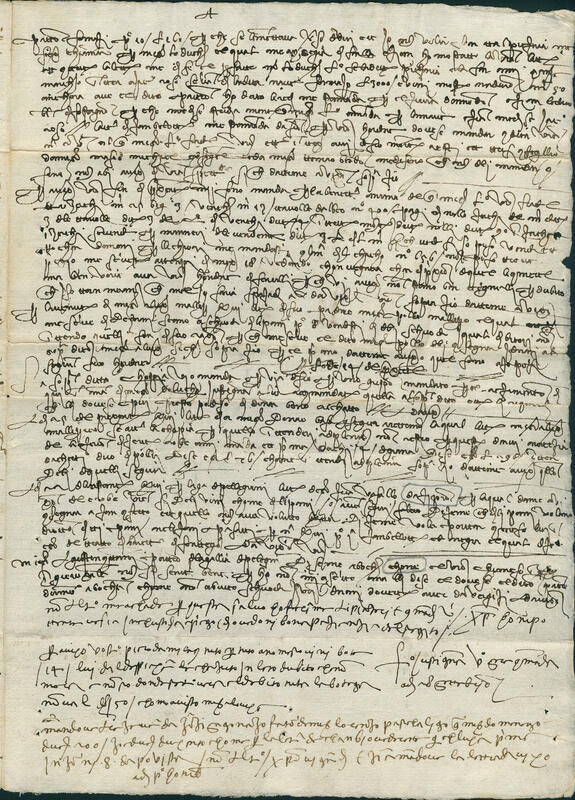 The content takes position to different subjects, including to the important families in the at that time time in Venice including the Medicis. 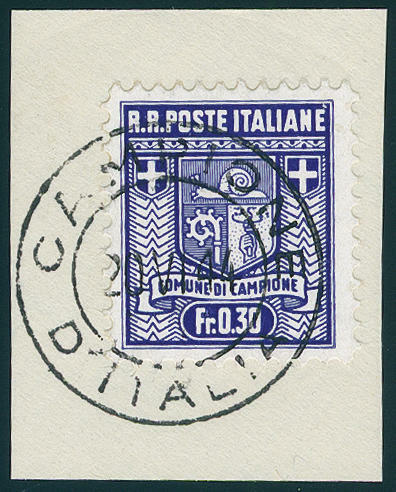 An especially nice and rare early pre philately letter from Crete. The perfect start for a sophisticated special collection! 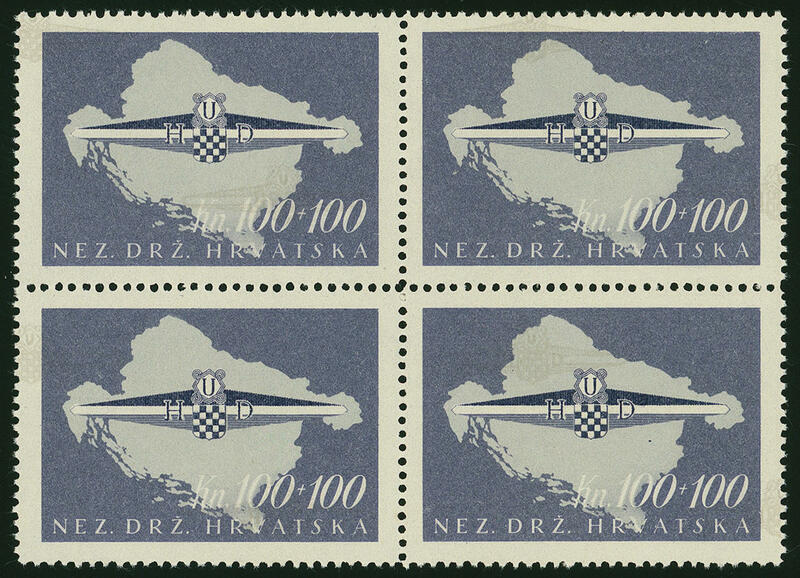 3862 170/72 Storm division set in wonderful blocks of four, fresh colors and very well perforated, unfolded, in perfect condition mint never hinged in perfect condition. 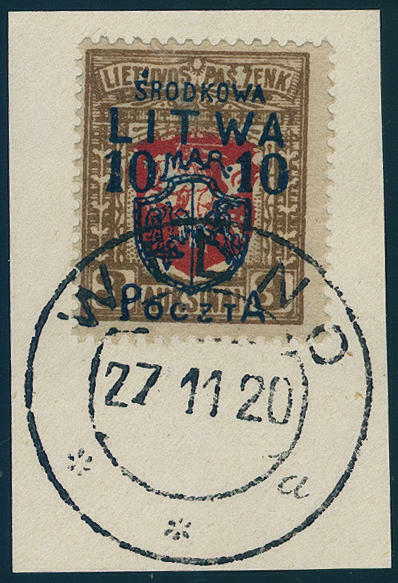 Those multiples are rare, because these set to the post office counters only single one delivered. Multiples comes from the minister albums. A Croatia rarity!